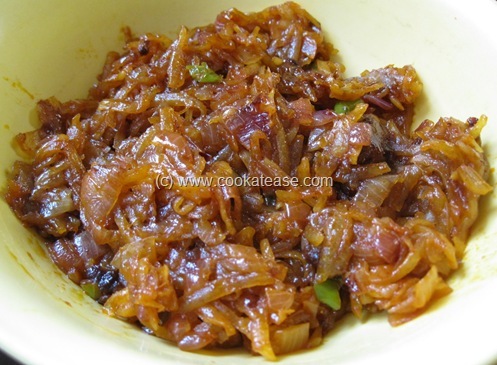 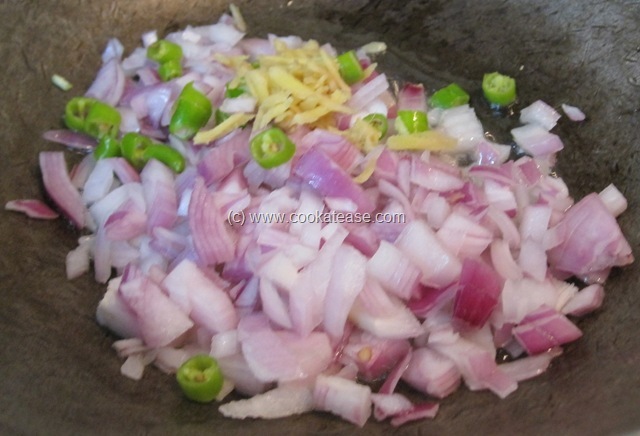 Parwal is a vegetable cultivated in northern and eastern parts of India. In southern states it is rarely available. It looks like tindora (little bigger in size) or cucumber with hard outer skin. 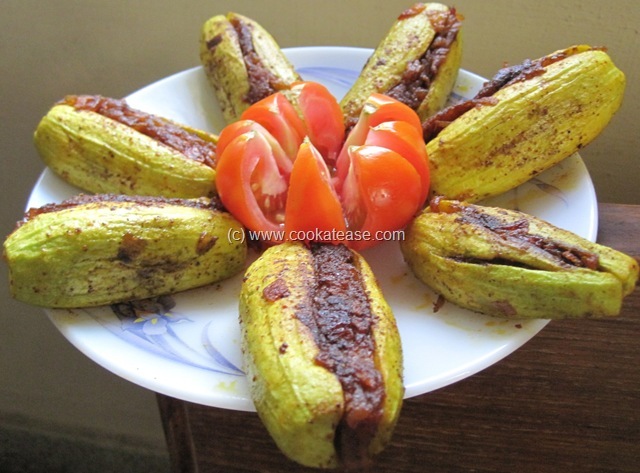 Parwal has dark or light green stripes on the outer skin. 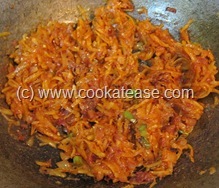 It is cooked as stir fry, stuffed fry using some more vegetables. 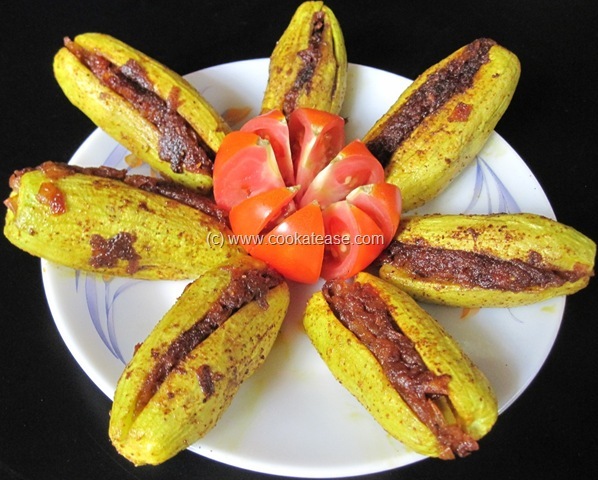 Here is Stuffed Parval/Parwal (Pointed Gourd). 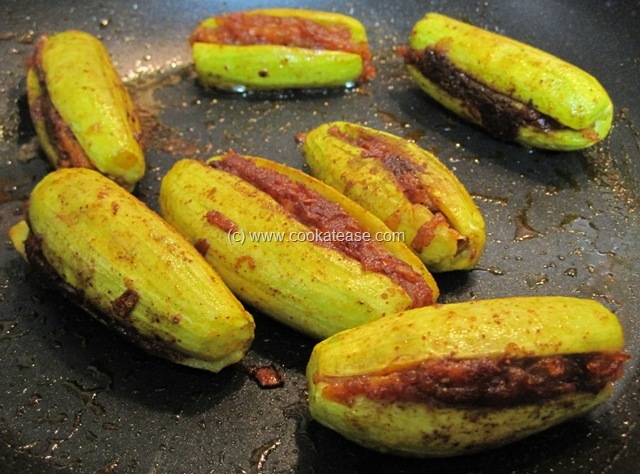 It is very attractive and tastes nice. 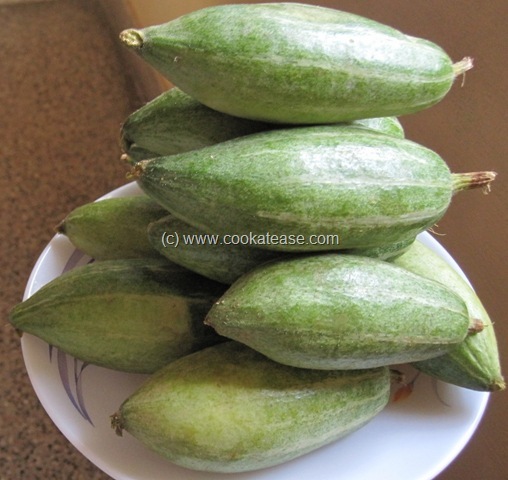 Parwal is also known as Pointed Gourd. 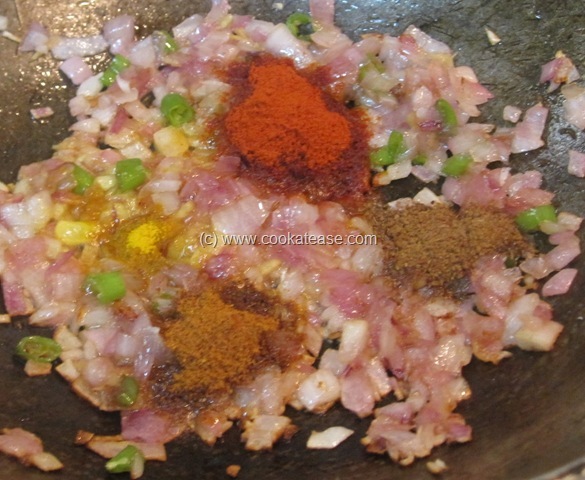 Stuffing: Heat a pan with 2 tea spoon of oil; add onion, green chilli, ginger, salt and fry till onion is soft and red in colour; now add all dry spices and fry for few seconds. 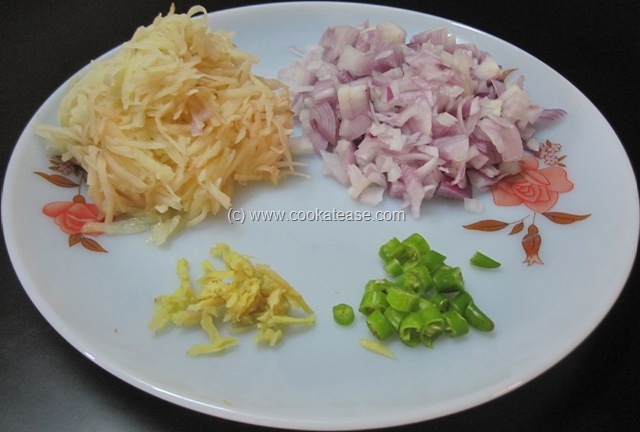 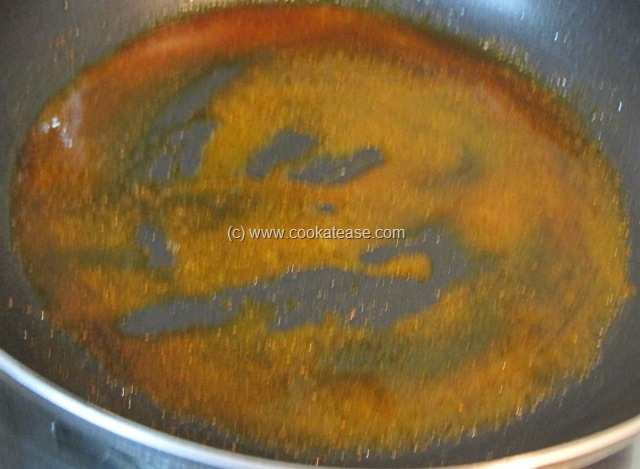 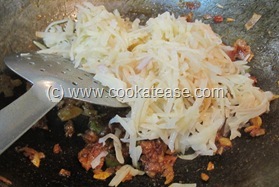 Then add grated potato and cook till potato is soft; now add lemon juice in it, mix and cool it. Now stuffing is ready for parwal. Stuffing the Parwal: Wash and peel the skin of parwal; cut one side length wise (do not cut into two pieces) and remove seeds; now gently stuff the parwal with stuffing as parwal has the tendency to break easily. Stuffed Parwal: Heat a wide pan with one tea spoon of oil; add little salt, red chilli powder and fry for few seconds; add stuffed parwals one by one carefully in the pan. 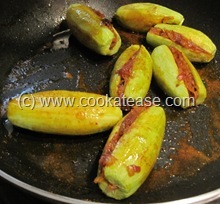 Cook till golden in colour or insert a tooth pick to check whether it is cooked (to cook faster, I cooked stuffed parwal in microwave oven for 3 to 4 minutes and then fried in the pan). 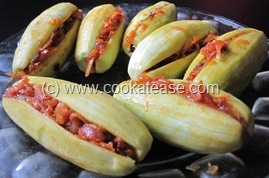 wow that looks delicious, nice idea to stuff inside parval..
Do they taste bit sweet and are they crispy like cucumber…I have seen them in Turkish shops here They tasted very good in the raw form…recipe looks lovely!!! Yes. 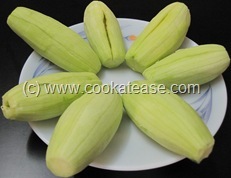 It has hard skin, slightly sweet, crispy and looks like cucumber. Can it be grown in uttar predesh?